“Awana” stands for Approved Workmen Are Not Ashamed, taken from 2 Timothy 2:15. The goal of Awana is to reach boys and girls with the gospel of Christ and train them to serve Him. Our club will help you teach your children to walk in God’s ways, rather than those of the world. We're proud to be one of 12,000 churches in the U.S. that offer Awana! *Parents are requested to remain on site during Awana Night. We welcome you to join our midweek Bible study in the main sanctuary. Our Awana program is for children ages 3 years to 6th grade. Toddler care (1-2 years) is provided in the nursery room. Mothers with children under 1 year are welcome to sit in the nursing moms' room, with video and audio streaming of the message. 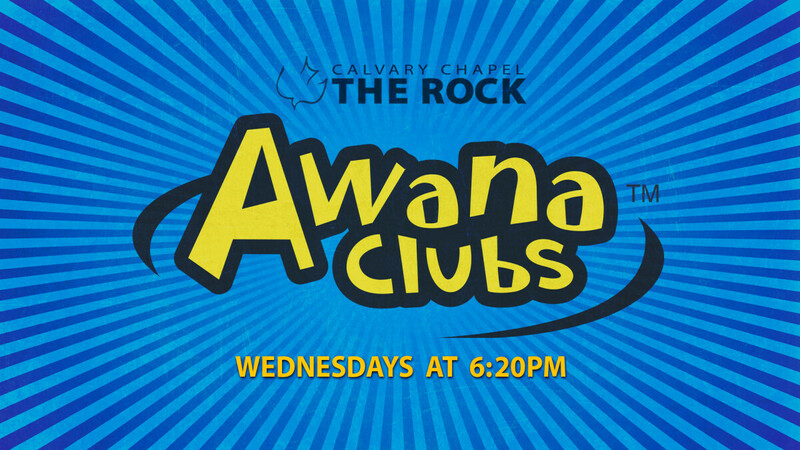 To register for AWANA: *Awana registration for the 2018-2019 season at The Rock is currently closed, as each club is full. Please contact the Awana Director at the church office for more information, or email . * Awana follows the school year, taking breaks for Thanksgiving, Christmas, and Easter. See calendar for more details.